Chunky Cowl TapRoot Cropped Shirt - Our Chunky Cowl Taproot design is made with our stretchy organic hemp/cotton blend fabric for an easy and slightly more fitted fit. This is a great base layer for many of our jackets, wool pieces and wraps. 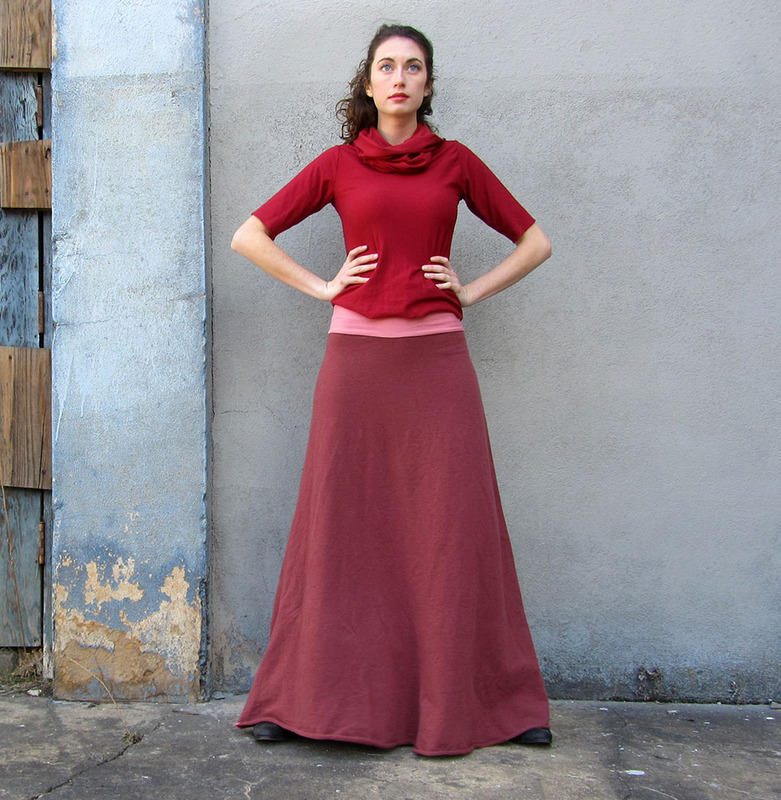 Wanderer Long Wool Skirt - This skirt has a nice full bodied bottom for comfy perfection you will reach for again and again! With a simple stretchy waistband for an easy fit, this skirt provides ample mobility and comfort. Made out of a soft and cozy wool fabric with just a touch of lycra for comfort.